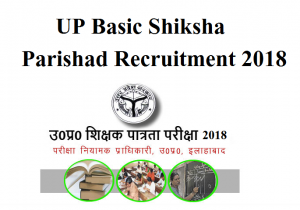 If you are looking for a job in teaching field then you must apply for UP Basic Shiksha Parishad Recruitment 2018. Now, you must be wondering that what is it and what are the ways to apply in it? The government is offering teaching jobs to candidates and the total number of vacancy available for this post in Uttar Pradesh is 68,500 which means that the competition is going to be tough. Start preparing yourself for the interviews if you are targeting this job because you know how much struggle is there if you really want to get a government jobs. Candidates in thousand numbers will arrive for the same position. According to the sources, the last date for filling up the application form is yet to be declared but the date will be in declared soon and the last date will be at the end of January. So, keep visiting the official website for more updates on UP Basic Shiksha Parishad Recruitment 2018. The candidates who want to grab this opportunity and want to do a job as a teacher in Uttar Pradesh can need to clear the UPTET 2018 examination only then they will be eligible for UP Basic Shiksha Parishad Recruitment. Once the candidate cracks the TET examination, they need to give the written examination which will be conducted by the selection authority and then you will get your result. Navigate to the home page and there you will find a link which will be having the list of jobs. Select your job in which you want to apply. Read all the terms and conditions related to the Up Basic Shiksha Parishad Recruitment and then fill up the application form. Make sure you fill all the correct details. Upload the copies of required documents and passport size image and scanned signature and you are done! Take the print out of the form, you may need it later. The candidates who will get shortlisted for the post of the teacher through the process of UP Basic Shiksha Parishad Recruitment will get the good package. The exact salary amount is not disclosed. But we are hoping that soon you will be getting the good pay as well as the facilities as per the government norms. We wish you all the very best and we will pray that you will get your dream job!